Table for publication: a 1:30 scale model of the Rose Lipman Building, with sympathetic pilotis. Limehouse Blues is choral performance of a new operatic composition that draws upon the history of the Chinese diaspora in Britain, in particular looking at popular depictions of the Chinese in the early the 20th century. The piece locates this history alongside the continuation of Chinese folk music practices such as self-organised Cantonese opera groups in today’s Chinese diasporic communities in the UK. 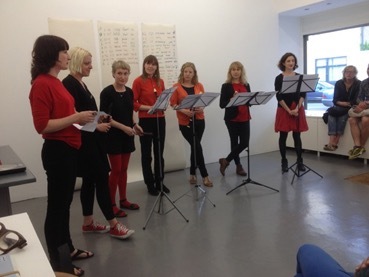 Through collaborative singing, Limehouse Blues explores the human voice as a tool of resilience and singing as a practice to negotiate the confines of displacement, colonialism, loss and trauma. A presentation of video footage recently recorded at Trenoweth Quarry in Cornwall and from the City of London. A series of prints exploring communication, identity and branding. The work exploits typical formats and layouts influenced by classic compositions commonly found in typography and graphic design. 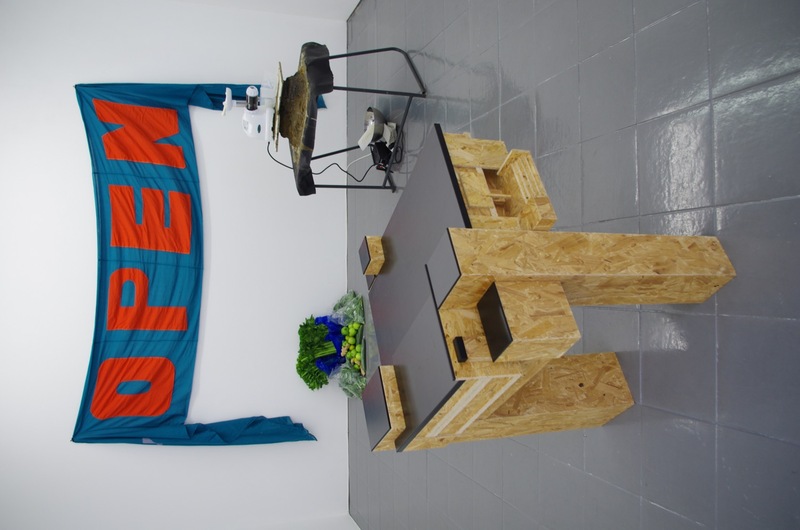 A temporary sculpture and performance work, investigating the particular material properties and capacities of an Omega 8004 Masticating Cold Press juicer. 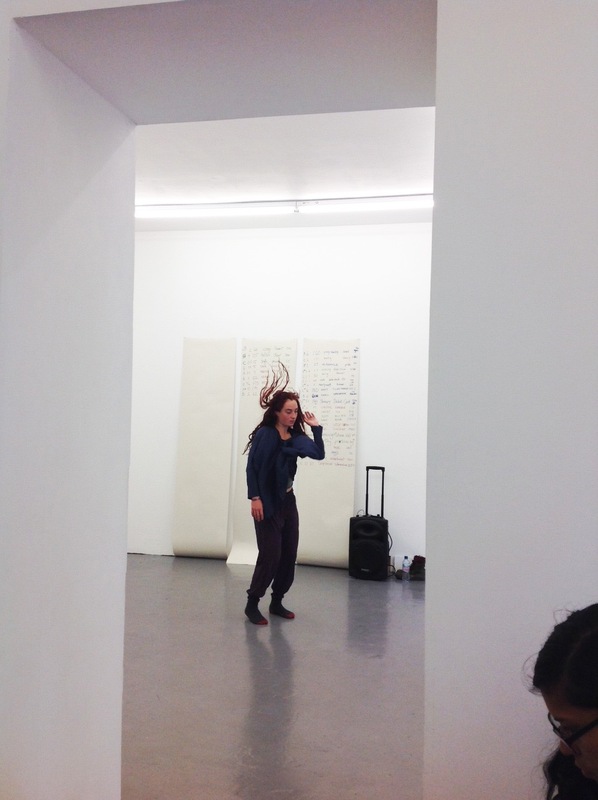 The performance examines ideas of desire and transcendence, disgust and the abject in relation to food and health. Hosts open rehearsals and scratch performances from Dark Island Dancers and The Femme Fatales to explore responsive dance and dance making in a public gallery setting. Dark Island Dance is a multi-disciplinary dance company based in Hackney and The Femmes Fatales are an all female collective of artists working with punk, dance & gender. Contact walkingreadinggroup@gmail.com if you wish to join! This collaborative event marks the eve of Portunalia, a neglected festival that honours the Roman god of doors, keys and livestock. 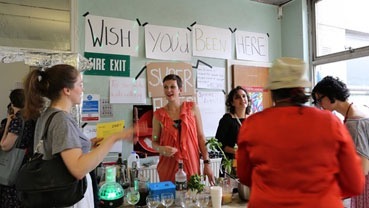 As part of De Beauvoir Labs, it is the first speculative and interdisciplinary attempt to revive undervalued skills through collective effort. Over the course of the afternoon a score and lyrics will be produced, by way of painless input on the part of visitors, and performed at 5:30pm. Led by artist Lisa Skuret and writer Sally O’Reilly, with performance by the Dolly Mixtures. Spoken word performance by Jonathan Hoskins, with Lucy Beech, Andrea Francke, Charlie George, Matthew de Kersaint Giraudeau and Ross Jardine A group convenes for a meeting. They have been collectively tasked with ‘increasing emergence’. They don’t have much at their disposal, but given where they are, there’s a lot to work with. A lot that used to be legitimate, now isn’t, and could be made to be again. Divergent ideas appear within the dialogue of possible futures, probable pasts, collective memory, and libertarian ethics. The performers appear as themselves. Every week for the past year, they have spent long hours in meetings together, at Open School East. The script they will read has been written in a few weeks, but the performance has developed over a year. Throughout the rest of the evening, Matthew de Kersaint Giraudeau will be offering freshly masticated, cold pressed juice from his sculpture, Juicer. An impromptu improvised "gig" from some of this 5 piece collective of artists working with punk, gender & dance.